Elizabeth Berkley is an American actress widely recognized for playing Jessie Spano on the hit 90’s teen sitcom Saved by the Bell. She is one of the most talented American, television, and film and theater actress and has starred in many blockbuster films and TV sitcoms including Showgirls, The First Wives Clubs and television shows like NYPD Blue and Titus. Born on July 28, 1972, Elizabeth was born and raised in Farmington Hills, northern suburbs in Oakland Country. She belonged to a Jewish family and raised in the Conservative tradition of Judaism. Her mother, Jere, is a gift basket business owner and father, Fred Berkley is a lawyer. Berkley was enrolled in Detroit Dance Company at the age of 5, and in 1990 she graduated from North Farmington High School. In 1982, when Berkley was seven, she auditioned for the lead role in the film which turned down due to some reasons. She pursued her passion for dancing professionally and traveled to New York for training with other dancers and choreographers. Elizabeth also was engaged in several ballets including Swan Lake and also appeared in some musicals in 1983. Before pursuing an acting career, Berkley was a teenage model for Elite. Elizabeth debuted on the big screen with a role in the TV film Frog in 1987 this was followed by some guest appearances on several television shows including TV 101(1988) and Day by Day (1988). In 1989 she got her big break for the role of Jessie Spano on the American sitcom Saved the Bell (1989). Her popularity increased as Berkley performed in the series and became famous TV star. Later, she tried to break into theatrical films and left the sitcom after four seasons. In 1994 Elizabeth starred in four movies including Showgirls (1995), also continued to guest star in other hit TV shows. She also continued with her study in English Literature at college in California. Berkley signed with United Talent Agency after Showgirls and got some minor roles in big cinemas including The First Wives Club (1996), Oliver Stone’s Any Given Sunday (1999). In 1999 the actress performed on the stage in London as Honey in Lenny opposite Eddie Izzard, directed by Sir Peter Hall. Her performances in the two independent movies Roger Dodger (2002) and Moving Malcom (2003) impressed the critics and was praised for her work. After three years of her marriage, 44-year-old star made her Broadway debut in 2004 in Sly Fox. After that, she returned to New York in the Off-Broadway production Hurly-burly directed by Scott Elliott costarring Ethan Hawke, Parker Posey, and Wallace Shawn. Her performance as Bonnie received some of the best reviews of her career. She appeared for several seasons as Julia Winton in the series CSI: Miami (2002) and also starred as Kelly Wentworth in the final season of Showtime series The L Word (2004). In 2011, Berkley played the lead role in the movie Lucky Christmas (2011) and also was one of the cast members on the 17th season of Dancing with the Stars in 2013 in which she partnered with Valentin Chmerkovskiy. Currently, Berkley is in not involved in any projects after she starred in the movie Lucky Christmas released in 2011. 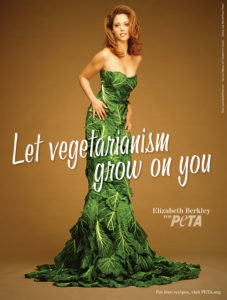 Berkley is an animal right activist and put on a $600 form-fitting gown made up of collard greens for the campaign to encourage people to embrace vegetarianism in 1997. She was also one of the celebrities in an online poll by PETA to select the Sexiest Vegetarian of the year. On November 1, 2003, Elizabeth tied her knot to an American actor and artist Greg Lauren at Esperanza Hotel in Cabo San Lucas. Greg is the nephew of the famous designer. The couple announced about their first child in March 2012 and soon welcomed a baby boy in July 2012 and was named Sky Cole. This lovely couple is still together, and there are no rumors about their divorce. 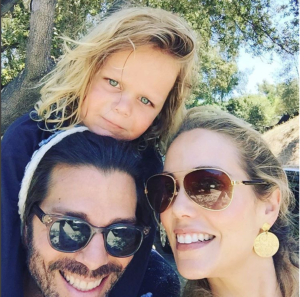 She and her husband Greg are proud parents of son Sky Cole Lauren and look euphoric together as Eliza is repeatedly sharing pictures of her and Greg on her social media. They set a perfect example of a successful married couple in the industry. Elizabeth is a favorite among a whole new generation of teen girls. She is active on social networking sites and has a huge fan following on Instagram. Elizabeth is in her 40’s, and the actress has an estimated net worth of $6 million dollars.